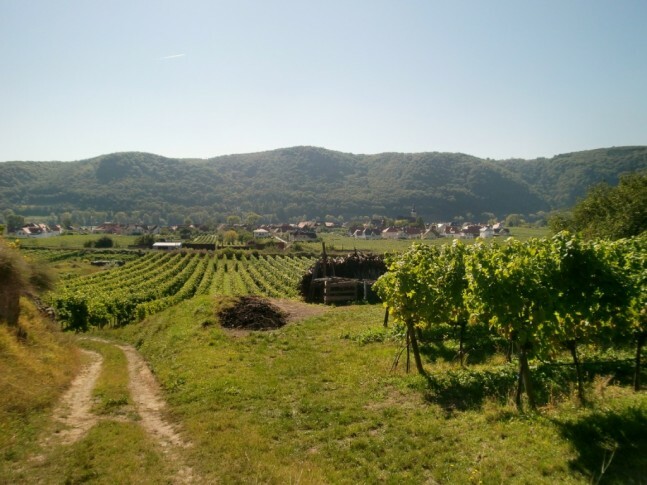 A day off from the vintage gives Shalom a chance to expore Krems area and the village of Dürnstein… although his palate still gets a good workout with visiting sommeliers from Hong Kong. A quiet Sunday for us. The crew decided to go for a walk to the town of Dürnstein. It was a lovely view from the terraced vineyards. It was fascinating to see the vines planted so close to the stone walls. My colleague told me that vines planted next to the walls tend to produce riper grapes due to the heat coming off from the wall at night. It was all sunny and not a cloud in sight. We climbed to the top of the hill full of vines. Many others did the same. 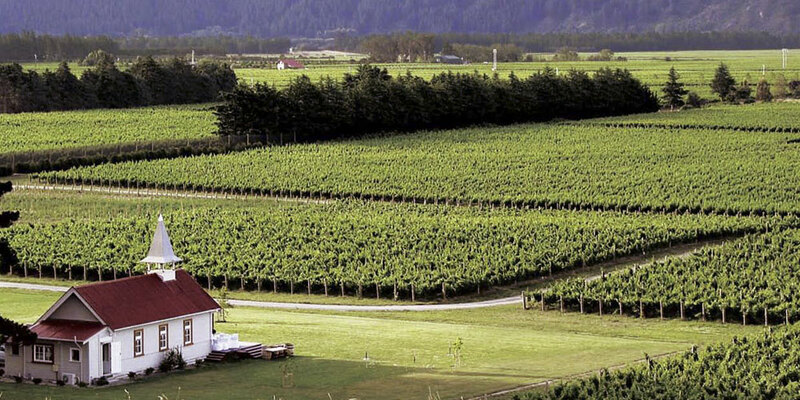 My Swiss colleague remarked that in if we were to walk into like that in the vineyards of Switzerland, we would probably be chased out with a gun-totting man. 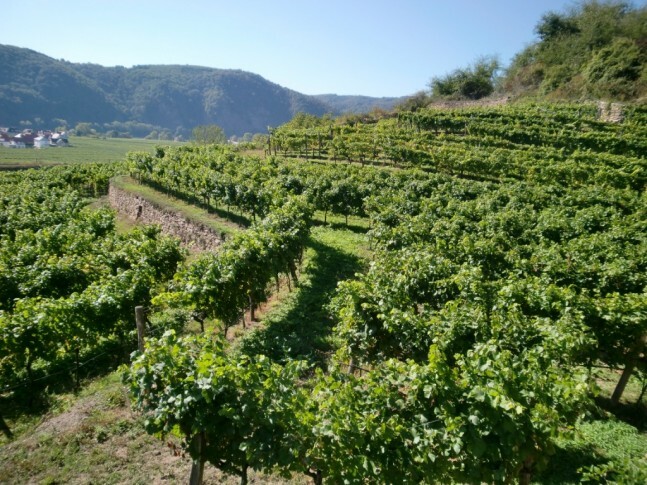 As we walked down the hill over the other side, a sign in German mentioned that in the past, if a person was caught eating the grapes here and could not pay for what he has eaten, his ear would be cut off. Thank God we don’t have that today. 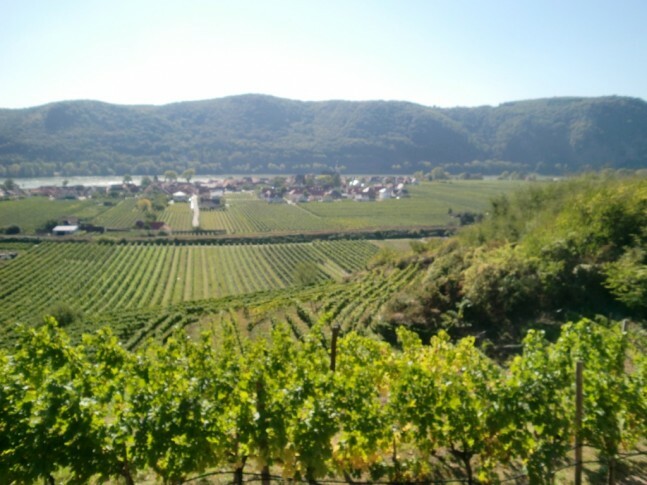 At Dürnstein, we took a train to the town of Spitz to catch a ferry ride back to Stein. On the train, we were greeted by a lady who gave us free schnapps to drink. A train ticket for a shot of schnapps sounded like a great deal to us. Back at the winery, we had a visit from HK Association of Sommeliers. Some amazing vintages were tasted. A pale yellow tinge. Light fusel aromas and lifted menthol, a flintiness to it with white peach and lemon peel. On the palate is littered with hints of fusel flavours, flint and lemon peel too. Pale yellow. A toasty, honeyed botrytis nose in there with hints of confectionary. Quite concentrated. On the palate, the acid is still present and flavours of dried apricots and toast. My most complex Gruner yet. This can lay down another 5-7 years. Pale yellow. Concentrated nose of apricots, petrol, honey and lightly minted. On the palate, acid is still present, beautiful sweet confectionary notes with cold tea. A very long length. Gold colour. Lifted notes of limestone, flint, and petrol. A mintiness to it like 99. Beautifully balanced between acid and flavor. Off dry sweetness that comes from age. Amazingly complex with flavours of honey, cold tea and dried apricots. Beautifully aged with hints of menthol. A treat!